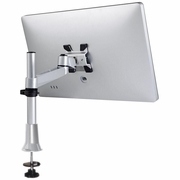 This desk mount is capable of suspending any 30 inch screen or less above your desk. The desk must have a thickness of 1 to 2 inches in order for the Grommet clamp to securely fasten to the desk. The VESA bracket must also align with the VESA on the back of your TV. It is compatible with 75x75mm and 100x100mm configurations. 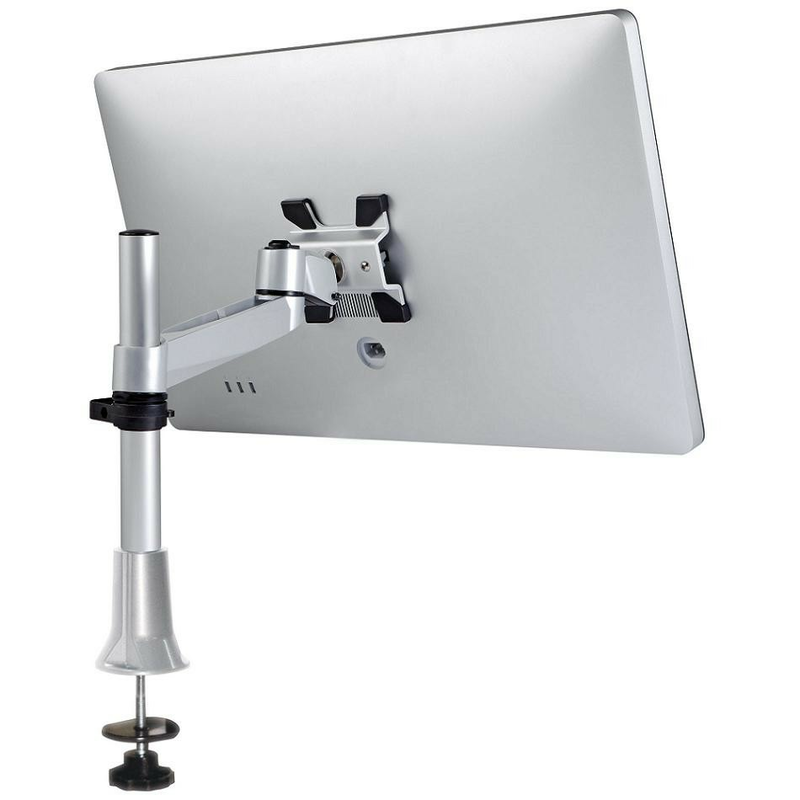 The VESA compatibility with this arm makes it an enduring design and it is also capable of mounting other VESA attachable products for tablets, laptops, and more.